While debate rages over domestic spending, the US government is quietly planning to blow $1,000,000,000,000 updating their ability to lay waste to all life on Earth. 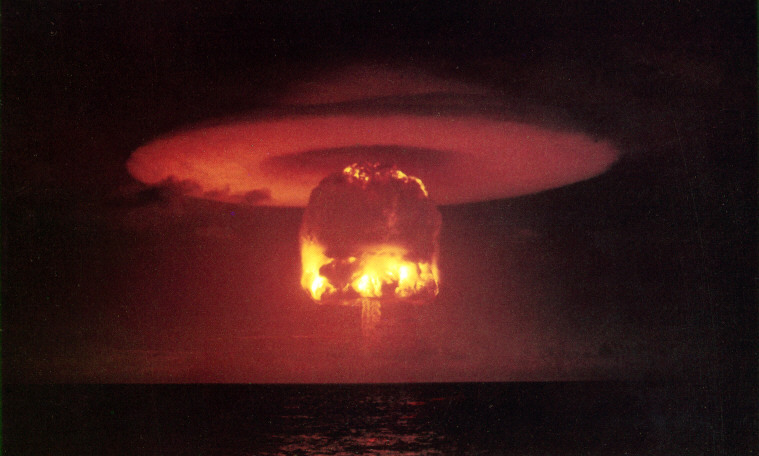 The Obama administration has requested massive increases for nuclear weapons programs. Current and proposed spending levels currently exceed what the administration originally claimed they would be. In fact, president Obama’s FY 2016 request for nuclear weapons programs at the Energy Department is roughly $3.5 billion more than President Bush’s final budget request. The update will include Intercontinental Ballistic Missiles (ICBMs), Submarine-Launched Ballistic Missiles (SLBMs), strategic bomber aircraft, modernized strategic delivery systems, refurbishing nuclear warheads, modernizing the production complex, and updating command and control systems. Pretty much everything you’d need to wipe small planet of all life, turning a once shimmering biosphere into a charred powdery remnant of human shame.